The Queen requests your presence at your earliest convenience, there’s gold waiting for you! There is desert treasure just waiting to be won in the Core Gaming slot Egyptian Queen! This slot is a 5 reel by 25 pay-line sort of game, one that is best played over hour-long sessions in order to make sure that every gold coin is accounted for! This slot is available on all devices and can be played from as little as 25p to around £100 per spin, which is perfect for players of many different entry levels. If you have played any number of Core Gaming slots in the past then you will know what they are capable of, and why you should be checking them out for yourself. If you are in need of more info, then the rest of the review below should provide enough insight to help you! Or if you just want to know general info about Easy Slots, click here. Wild Treasure: You will notice that there is a bonus set of reels above the ones you are playing on top of, these reels will activate when using this feature. When you match wilds on the main reels, then this will cause a ripple effect that will copy itself onto this second board! Queens Treasure: One of 3 active modifiers, and arguably the hardest to get into, the benefits of this one is that you can earn up to a 100x multiplier! Click here for more casino promotions, bonuses and extra features like this! Egyptian Queen is a masterclass in online slot gaming, we’d even go as far as to say that it’s our favourite Egypt themed slot out in the market presently. If you have an unholy obsession with making money, then you’ll find that this slot ticks all of the boxes. Check it out today! 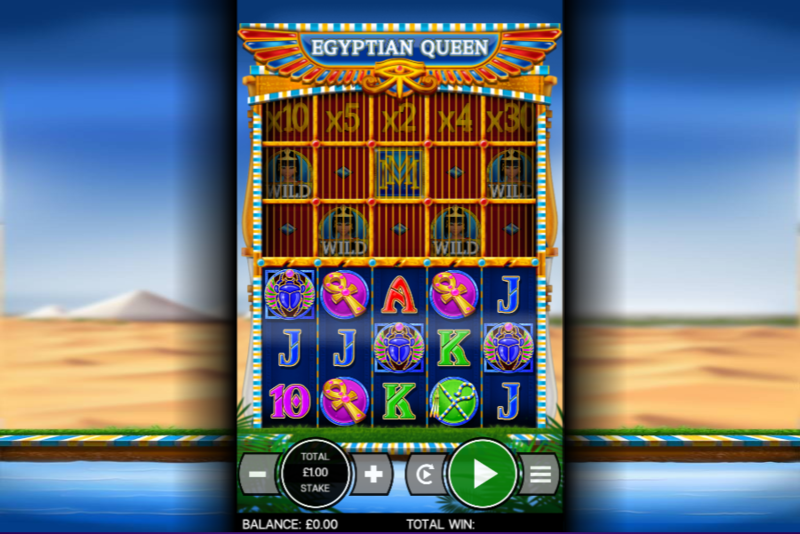 Or you can discover more games like Egyptian Queen on Easy Slots now.